Mary Moat, longtime grande dame of Pound Ridge, passed away at the age of 105. She was a gentle woman who graced the town with her dignified manner, patience, sincerity, humility and strong sense-of-self. 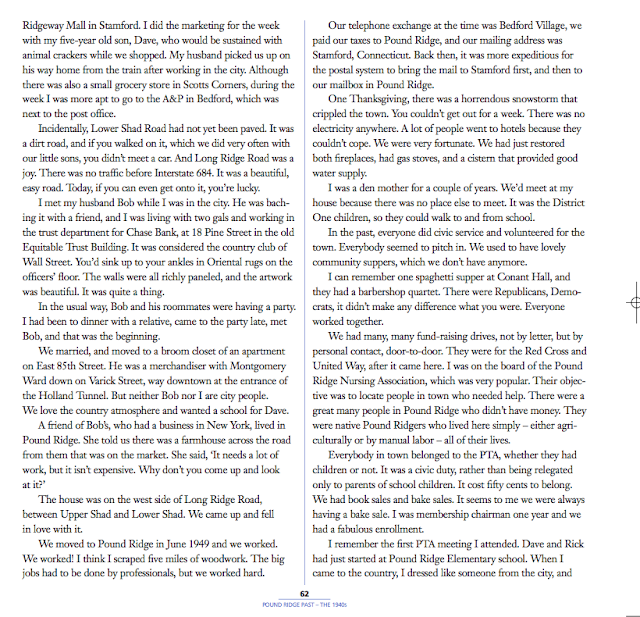 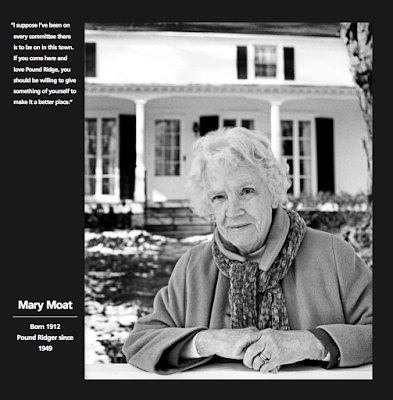 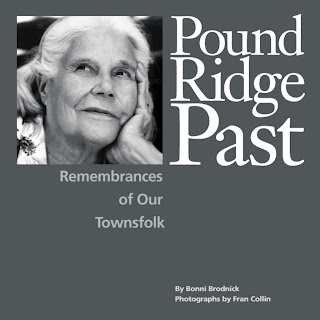 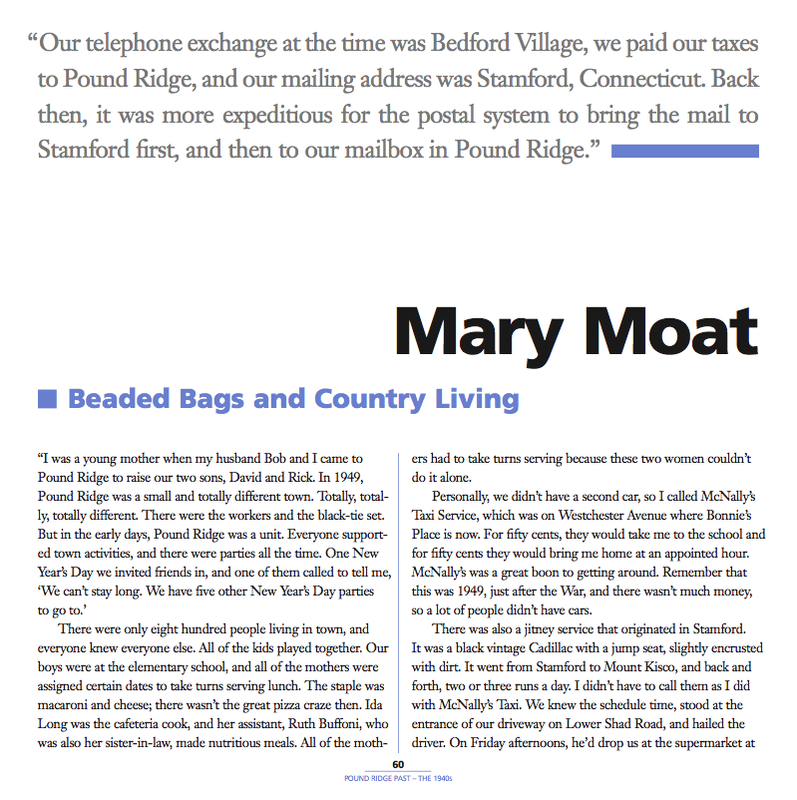 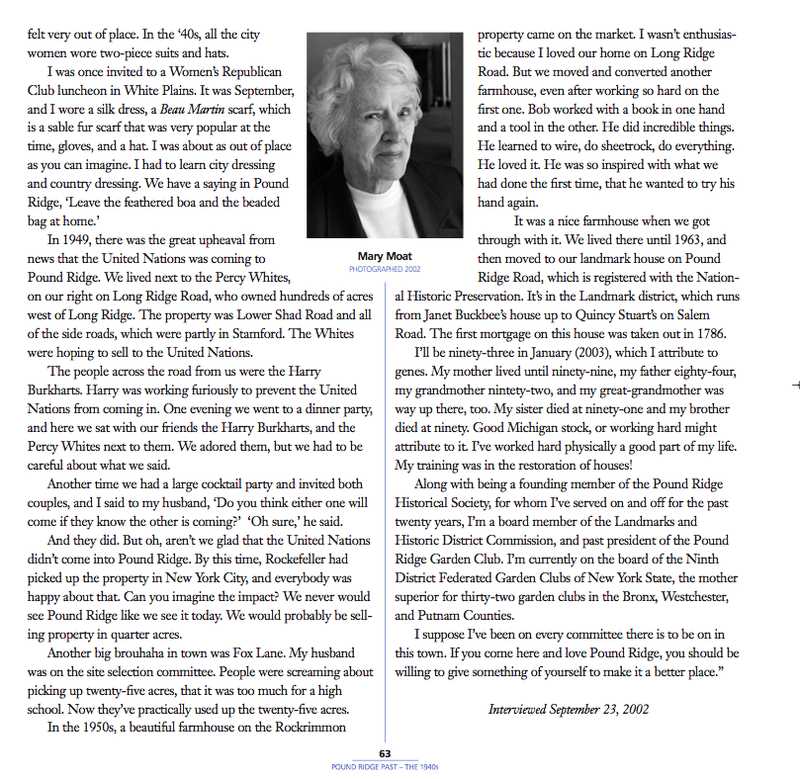 I remain humbled to have had the opportunity to spend time with Mary and interview her for my book, Pound Ridge Past. 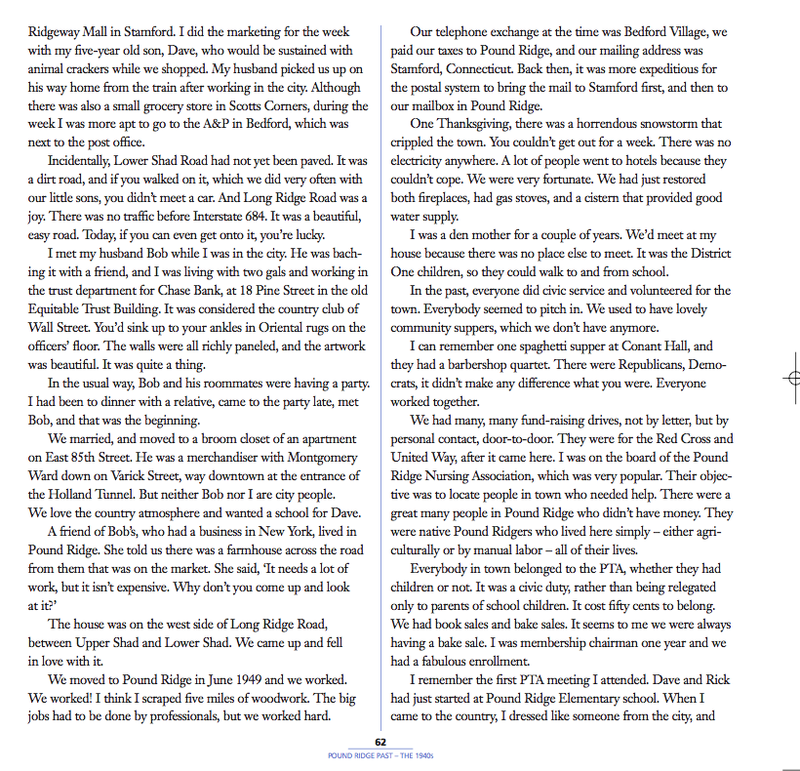 She spoke about moving to town as a young mother from Manhattan in 1949, the great parties, and the awkwardness of wearing a beau martin to her first PTA meeting at Pound Ridge Elementary School.